Artichoke’s design team is fairly obsessed with boot rooms. In fact, the domestic back end of a country house holds a rather geeky fascination for us. 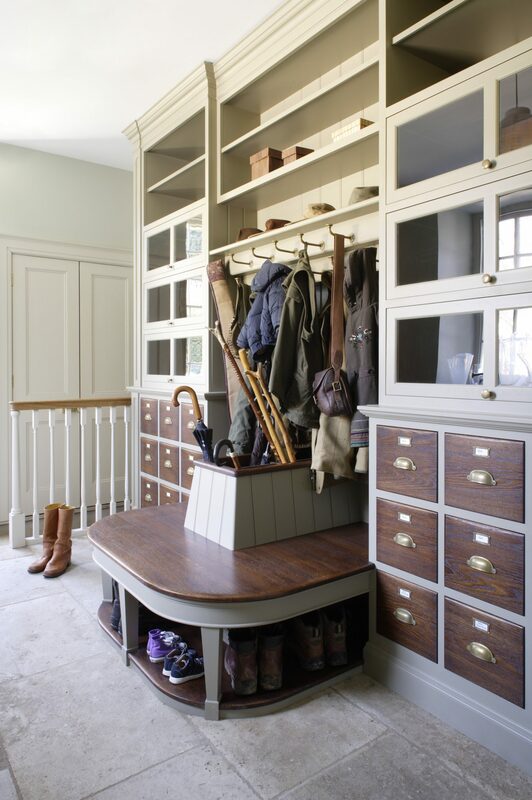 While boot rooms (or mud rooms) are hardly glamorous, they do present a variety of interesting design challenges. The primary function of a boot room is to act as a valve between the outside elements and interior house. It should be a practical, functional room that everyone in the family uses, including the dog! In this blog we will explore some of the main considerations when designing a boot room. It all stars with a conceptual design. In order produce the perfect boot room, its important to fully understand the family for whom it is intended. By getting to know our clients personally we are able to consider every aspect of their day to day life. For example, how many children or animals are there? Are shooting, fishing or riding regular family activities? What kind of sports kit needs to be stored? What sort of hats, and how many coats do they own? Do guns need to be stored? If so, what are the security requirements?…The list of requirements can be almost endless! 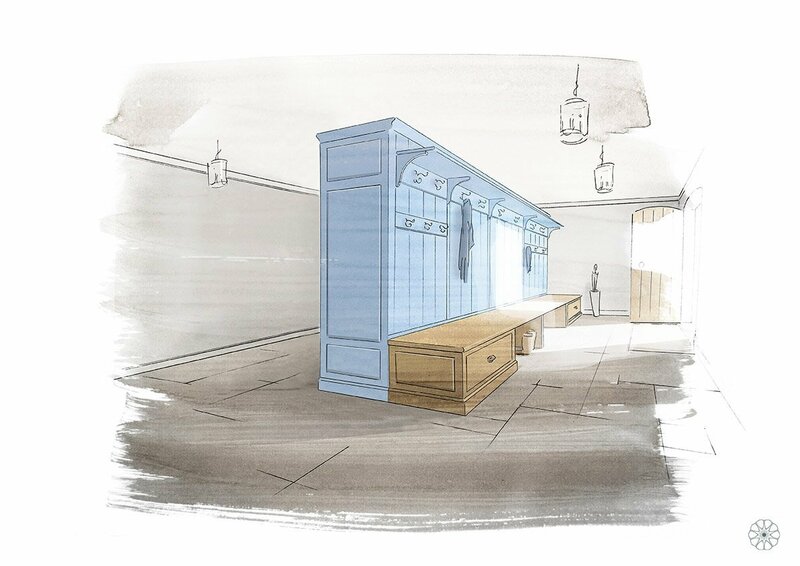 Early into the design process we produce a watercolour sketch, like the one below. This gives clients a clear picture of initial ideas and intent for the design. How to deal with mud should be thoroughly thought through, especially if the room is likely to have heavy use. A hard-wearing material for the floor is essential. An obvious choice in a country house would be stone or tile (as seen below). Vinyl floor is another cheaper, very practical alternative. 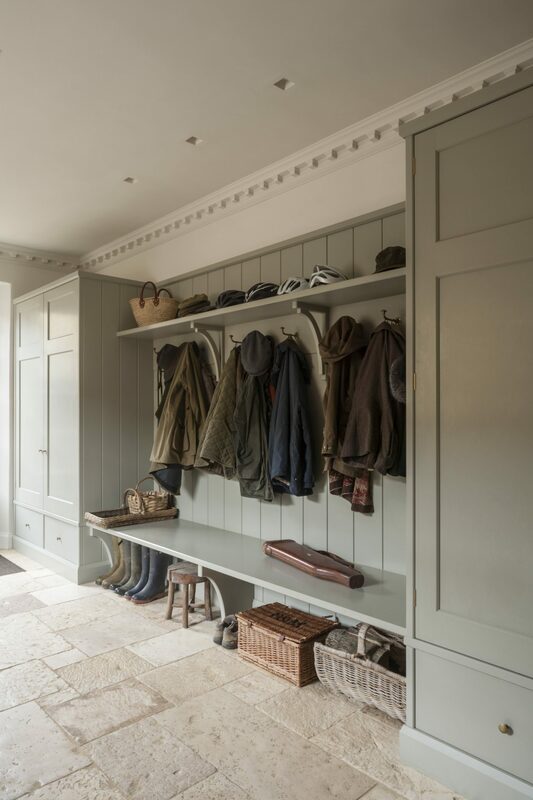 In many country houses, boot rooms act as the main back entrance to the house. If this is the case it could be wise to consider an additional smaller entrance to act as a second valve to trap the cold and wind as family members or guests, enter and leave the house. 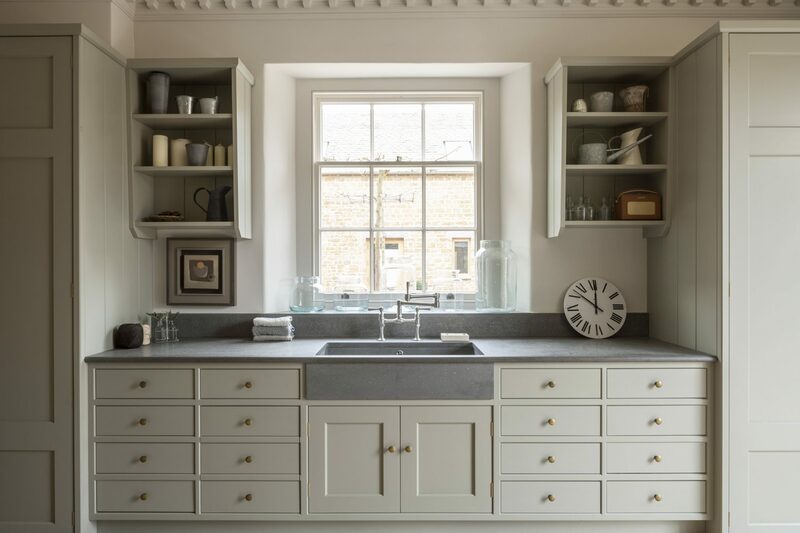 A painted surface is worth considering as it can be refreshed. You can see more images of this boot room here. Consideration should also be given to drainage. Artichoke designed the boot room below with a drain in the centre of the floor meaning mud and dirt could be swept directly into it. An externally mounted tap may be another key feature to think about. Having this outside allows muddy boots or animals to be cleaned off before they enter the house. Bespoke Artichoke boot room with central floor drainage. See completed images of this boot room here. If a sink is required we like to make sure its made appropriately for what it will be used for. For example, if it will be used for washing muddy boots or pets it must be large and made of a robust material. Alternatively if its only used for lighter activities such as flower arranging, we must consider the height of the tap to ensure that all tall vases can be filled. 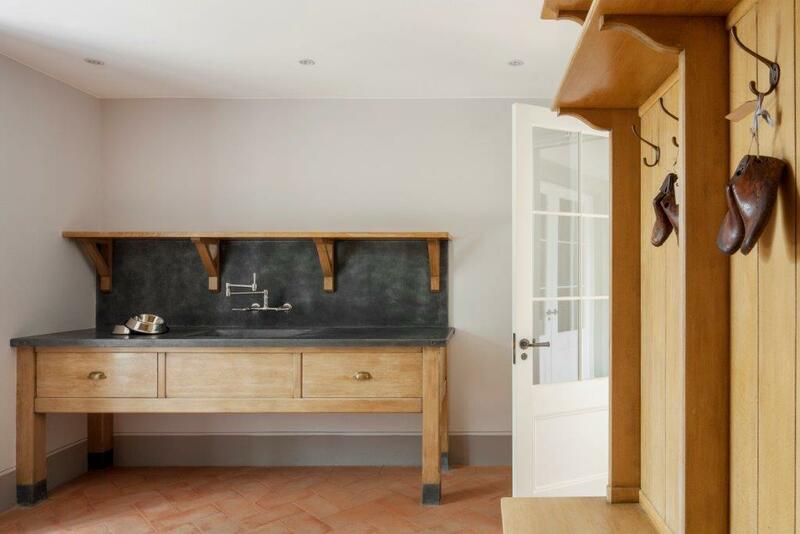 A solid stone sink in this Artichoke boot room provides a hard wearing and attractive alternative to stainless steel. Obsessing over the small details is vital if one is to create boot rooms that work for each families very unique needs. Like much interior design, there are no right or wrong answers, but there is certainly poorly considered design which can be avoided by asking the right questions. 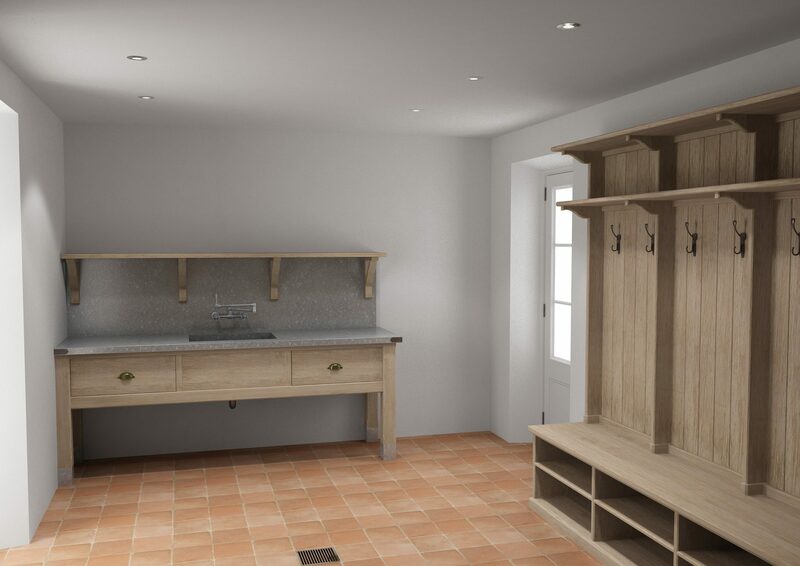 If you have a boot room project you’d like professionally designed, we’d love to discuss it. Email newprojects@artichoke.co.uk or call +44 (0)1934 745270.